Implant treatment for the edentulous patient is challenging due to inherent anatomic and biomechanical problems. Moreover, controversy persists as to factors critical for implant and prosthetic success. Established criteria for design of the maxillary vs. mandibular implant prosthesis are lacking. This lecture reviews some literature on maxillary and mandibular implant prostheses with an emphasis on number, length, and distribution of implants, connected or not connected anchorage systems, maintenance, and patient satisfaction. 3. the presence or the absence of bone in the radiographic zones. With the presentation of many clinical situations, this lecture gives indications and contraindications of some possible restorations. · Lecturer; UCLA advanced Prosthodontics Department. Dr. Tony Daher is a graduate of UCLA and USC. He is a Board Certified Prosthodontist and a fellow in the American College of Prosthodontists. 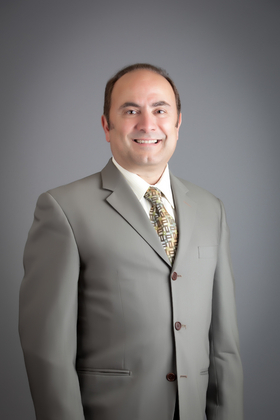 Dr. Daher is currently an Associate Professor and past clinic director of the international student program at USC, and past director of Advanced Prosthodontics program at Loma Linda University. Dr. Daher is also a lecturer with the Advanced Prosthodontic Program at UCLA. He maintains a private practice limited to Prosthodontics and Implant Dentistry in LaVerne, California. He has written many scientific and clinical articles, and has lectured nationally and internationally on the subject of Prosthodontics. This program is sponsored in part by DENTIS USA.